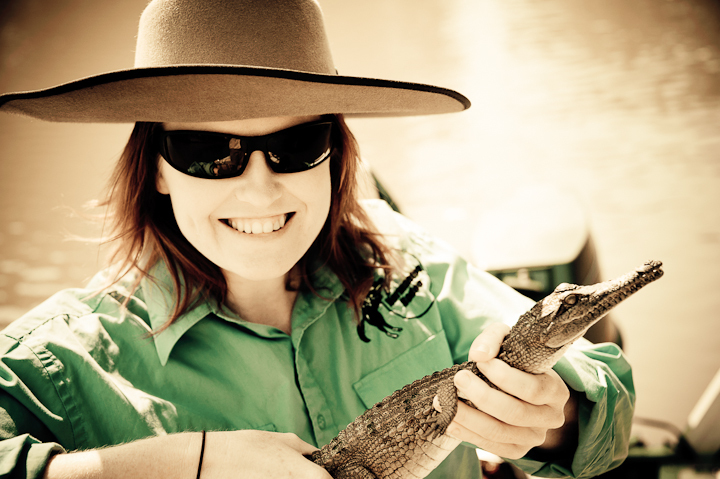 This is my second post (first one here) from our adventures in the Australian outback while visiting my SIL, Deb. 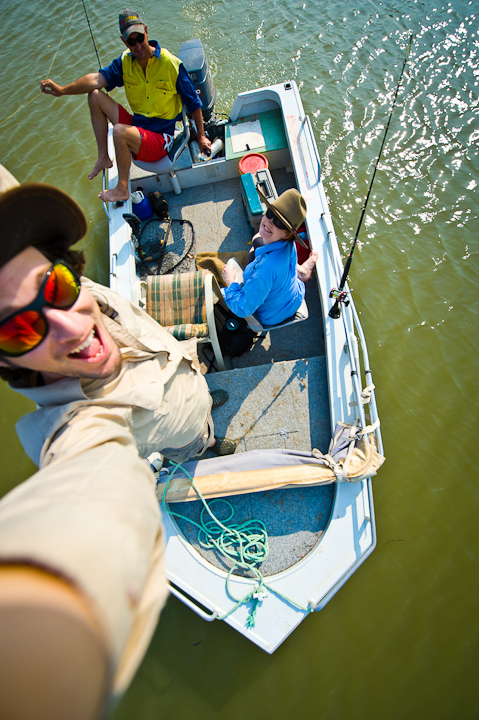 Today we went with Deb’s housemate fishing in a tinny (tin boat) out on the Norman River. 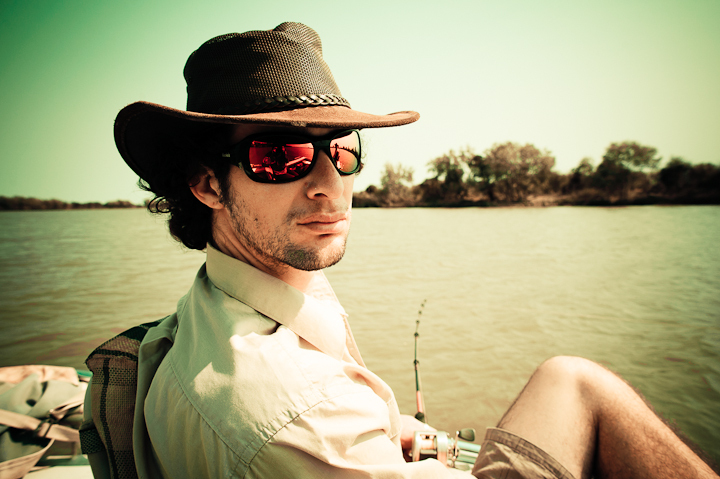 The plan was to catch some fish, preferably Barramundi, and maybe spot a croc or two if we were lucky. 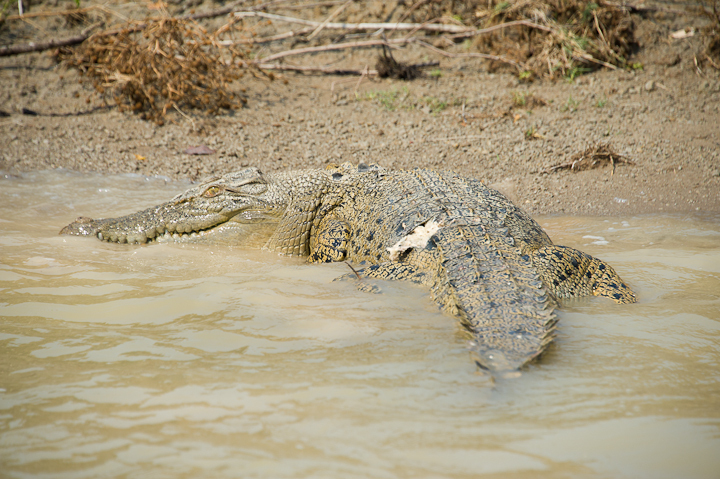 The tide was high so we didn’t like our chances as crocs need somewhere to rest their bellies on the sand. 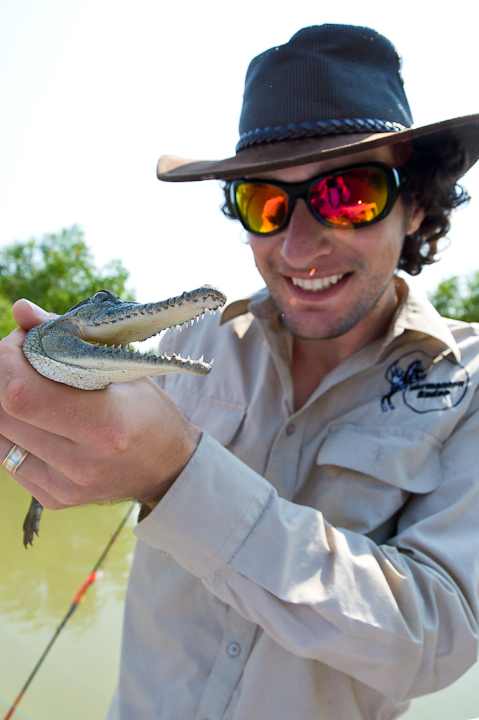 The actual outcome was no fish biting while we were out but we saw some crocodiles – we even got to hold a wild one! 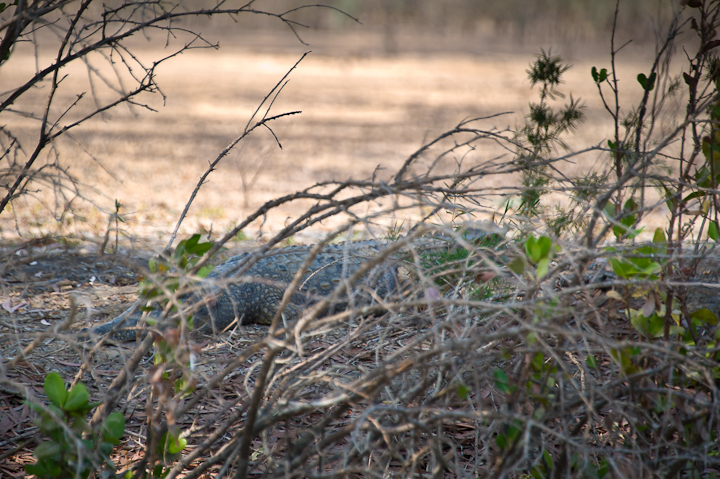 Yes, a wild crocodile! 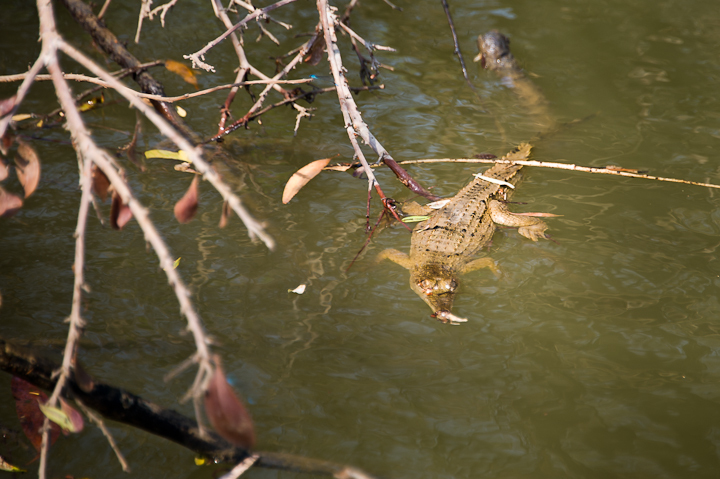 As we got closer, it scooted into the murky brown water and just disappeared….eerie…..
Then just up a little further our guide found two baby crocs – a Freshwater crocodile and a Saltwater crocodile hanging out together with their mini-heads sticky out of the water. 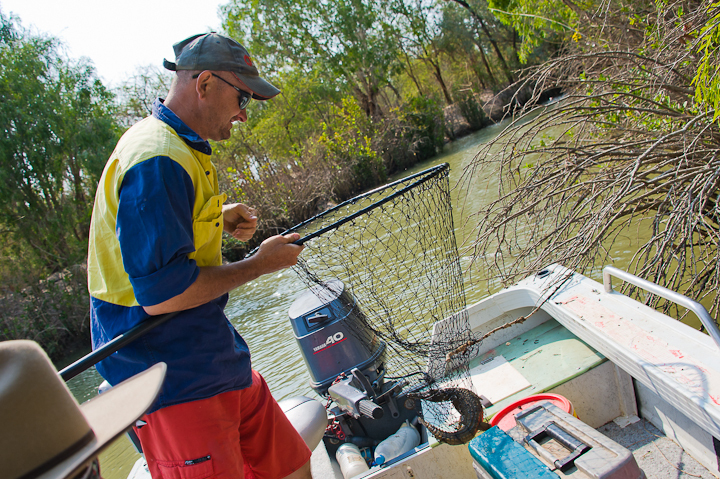 Once all this was over, we started back to the boat ramp and on the way I spotted a Saltwater crocodile on the edge of the bank. He had a white patch on his back, which I thought was a leaf, but as we got closer we noticed that the white patch was in fact a rather big gash in it’s side. 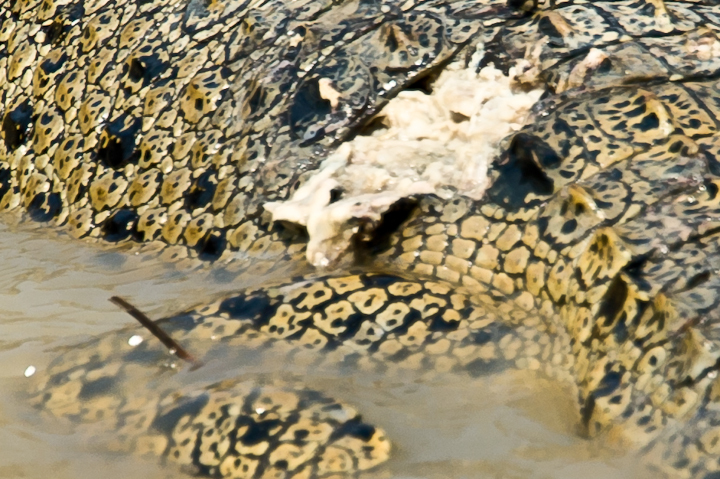 Croc flesh is white (and yes, if you have ever tasted cooked crocodile meat it does in fact taste just like chicken).